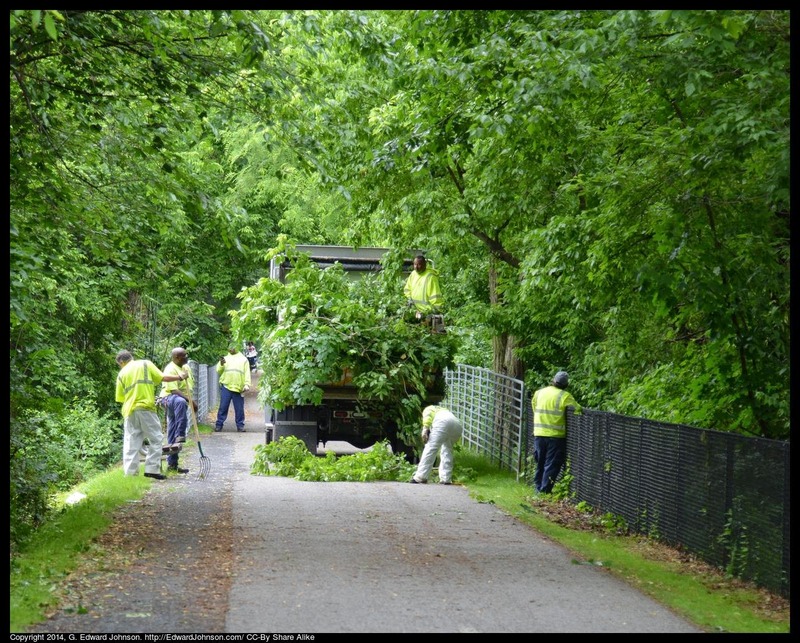 I took a walk along the Capital Crescent Trail yesterday and saw a crew out trimming trees that were overhanging the trail. They were between River Road and downtown Bethesda, MD, near the Washington Episcopal School. Yesterday was a bit cooler than earlier in the week but still nice weather to be out walking. This weekend will be in the upper 70's, perfect for being outside.